My name is Bryan Bugay, and I am a Licensed Clinical Professional Counselor. 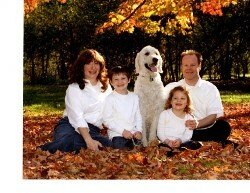 I enjoy helping individuals and families improve their quality of life. My office is a safe place for clients to work out their issues. In my free time, I enjoy spending time with my family as well as reading, running, and being outdoors. Licensed Clinical Professional Counselor (LCPC). National Louis University, Post graduate classes in counseling. Loyola University of Chicago, Masters of Education, Specialist Degree - School Psychologist. Clark University, Massachusetts, B.A. Psychology. Have counseled children, teens, adults, and families since 1995. Have worked with hundreds of children and their families regarding emotional and behavioral issues. Previously worked as a School Psychologist in the public schools. Assessed intelligence, achievement, and social/emotional development of four hundred children and teens. Counseled fifty children a week individually and in groups. Worked with over two hundred individuals and facilitated seventeen groups for people with social anxiety, fear of public speaking, and selective mutism. Facilitate parent support groups for Selective Mutism. Consultation with schools and other health providers. Train staff at schools and mental health agencies. Guest speaker at parent mental health groups. I have published five articles in The Special Educator and Today's School Psychologist magazine on the topics of counseling students, stress and anxiety, and surviving difficult IEP meetings. Read the Winnetka current article about Bryan and his assistant Chewy here. Chewy passed away January, 2019 at 12 years old and now his nephew, Noodle, is working with Bryan.